What is a sprain? A sprain refers specifically to an injury to a ligament. We have ligaments throughout our entire bodies. A ligament is a supportive structure that connects one bone to another bone. While we have them throughout our entire bodies, when we think sprains most often we think of the ligaments in our ankles or knees (these are, after all, the most commonly-sprained ligaments in our body). First-degree sprain: the most-common type of sprain. Oftentimes we hear a first-degree sprain referred to as a “tweak”. There is actually little tearing that occurs in the ligament, just an uncomfortable stretch that has occurred. Usually pain only lasts 1-2 days and responds well to ice and anti-inflammatories. There is little swelling and joint stability is still good. Second-degree sprain: A little more severe than 1st degree. The range of damage is a little more significant, and most likely there has been some micro tearing that has occurred. A “partially torn” ligament would classify as a second-degree sprain. These are usually accompanied by moderate joint instability and some swelling. You may or may not notice some bruising in the area. Third degree sprain: This is a complete rupture of the ligament. Side A is completely separated from Side B and you’re likely in a fair amount of pain. There will definitely be some swelling and bruising accompany this one and you’ll find your joint to be very unstable. 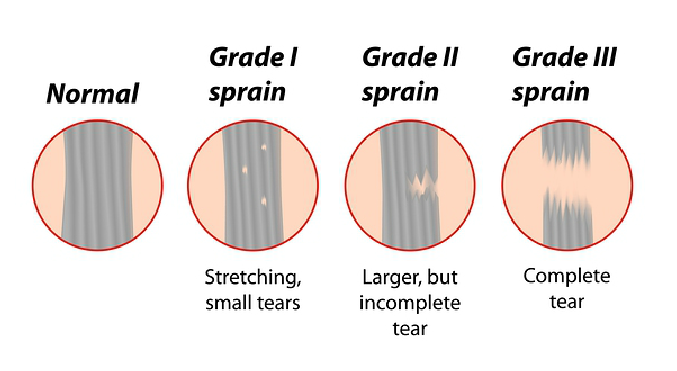 With third-degree sprains other structures are often damaged which results in significant pain whenever the area is used. 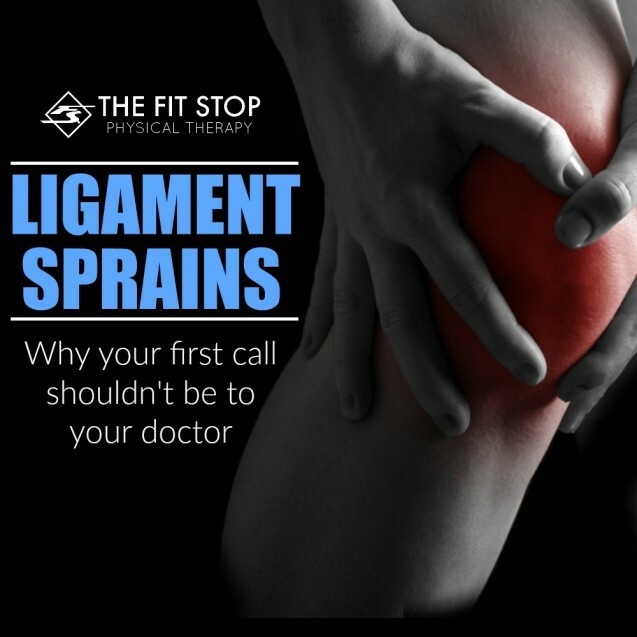 If you suspect you may have sprained a ligament, there is a lot we can do for you! Give one of our clinics a call at the links listed below and we would love to talk to you about your injury.